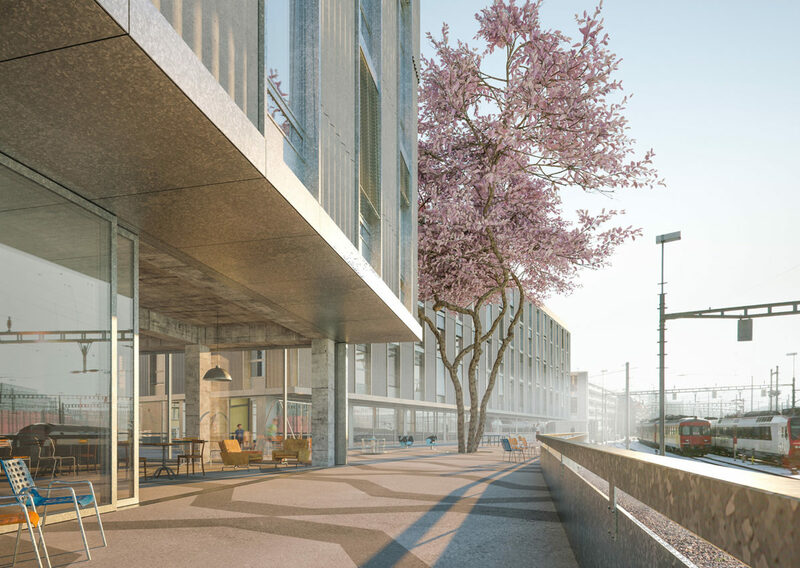 In the midst of the intensive construction phase of the Kalkbreite housing estate, the opportunity arose to acquire another attractive and highly urban building site in the city of Zurich. It was put up for sale in mid-October 2012 by the umbrella organization of Housing Cooperatives Zurich on behalf of the landowners SBB and the City of Zurich. It is almost 5,000 m2 in size and is located at the corner of Langstrasse/Zollstrasse, near Zurich Central Train Station. The Kalkbreite Cooperative bid with ten other non-profit developers for the area and registered the “Zollhaus Project”. At the end of January 2013, three of the cooperatives were invited to personally present their project idea to the jury – two representatives each from the city, housing cooperative and SBB – including Kalkbreite Cooperative. It prevailed against its competitors and was offered the property for sale in February 2013. The jury was particularly impressed by the “experience in the development of commercial and public-oriented areas” and the “approach to the development of a suitable mix of uses”. Zollhaus offers a wide range of space for living, working, culture and community, creating a lively place that meets the needs of the neighborhood and implements new visions of living together. 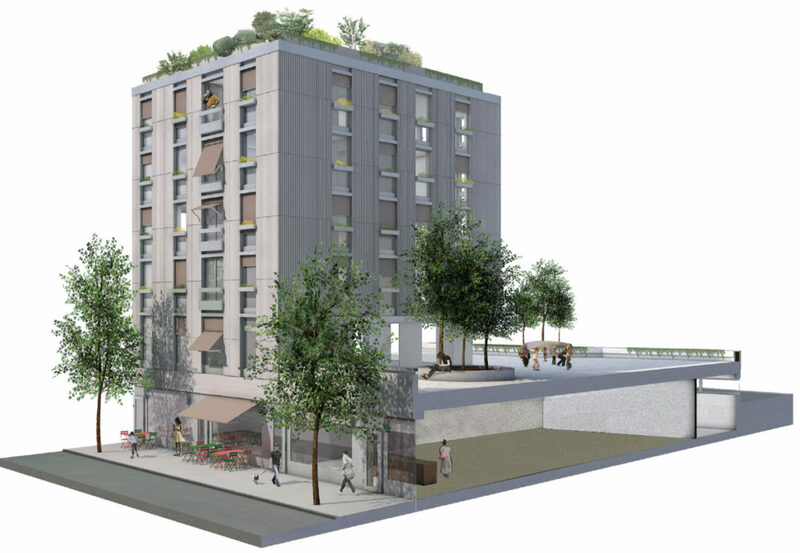 The Zollhaus project has been under construction since May 2018 and should be completed in the third quarter of 2020. Almost all the commercial space – a colorful mix of offices, restaurants, retail space and cultural spaces – has already been let; the apartments will be put out to tender at the beginning of 2019. On the occasion of the 10th anniversary of Kalkbreite Cooperative in September 2017, we asked Dimphie Slooters about the origins of Zollhaus (2,5 Minutes). Since we are building the Zollhaus, we are also committed to the wasteland next door, where the Zollgarten is to be built in the future.